If you need legal assistance regarding breach of fiduciary duty matters, contact us online or call us at (615) 800-7096 today for a free consultation with an experienced attorney. When someone is selecting a person or entity to become an executor, trustee, representative, or other position for his/her estate, it is that party’s legal responsibility to fulfill the individual’s wishes. But when that party mishandles its duty as a trustee or executor in probate matters, family members or other beneficiaries may take legal action to hold the fiduciary responsible. The estate lawyers at Martin Heller Potempa & Sheppard, PLLC can assist those beneficiaries who are pursuing breach of fiduciary duty actions against a trustee or executor. If that party had failed to act honestly and appropriately, legal action may be necessary to replace them and recoup damages caused to those that these actions caused harm. What Constitutes a Breach of Fiduciary Duty? The person or entity who is in a position of responsibility for a trust or estate, that person has a legal responsibility to act in the best interest of the other party. As the fiduciary of the estate, will, or trust, the party has certain legal duties that must be met. But when that party acts in contrary to that duty, it’s considered a breach of fiduciary duty. For example, if someone is appointed by the court to become the Guardian of the Estate for minor children but mishandles the children’s finances, this is considered a breach of duty. The fiduciary acting in his or her self-interest while disregarding the beneficiaries’ interests. Fraudulently misappropriating money or assets from the trust or estate. Failing to take action or respond to beneficiaries’ requests. Failing to comply with laws and regulations regarding the administration of the trust or estate. Existence – You will need to show the other party had not only a relationship with you but a duty to you. Depending on the facts of the case, the duty could be anything from a duty of good faith, a duty of full disclosure, or a duty of fair dealing. Breach – Once the duty has been established, you will need to show that the duty had been breached by the defendant. For example, a trustee had misappropriated the funds of the trust. Other examples include misrepresentation, misuse of the position, neglect of responsibilities, and failure to disclose information. Damages – When the breach of duty has been proven, you will then need to show how that breach had caused you to suffer damages. If you are unable to show that you had suffered damages, you may not have a successful claim against the fiduciary. It’s important to have the right estate attorney by your side if you wish to pursue a breach of fiduciary duty claim. That lawyer can review your claim and give you the best legal advice possible. If you believe that an executor or trustee in Nashville has breached his/her fiduciary duty, the probate litigation attorneys at Martin Heller Potempa & Sheppard, PLLC can guide you in pursuing legal action. Our firm is dedicated to making sure those put in a position of trust act accordingly and follow the best interests of those relying on them. If you need legal guidance with any trust or estate issue, now is the time to act. Contact us today or call us at 615-800-7096 to set up an appointment. Why Was This Father's College Tuition Obligation an Issue? Splitting up the Jewelry in a Divorce: Say It Isn't So! Father Held in Criminal Contempt: What Happened? 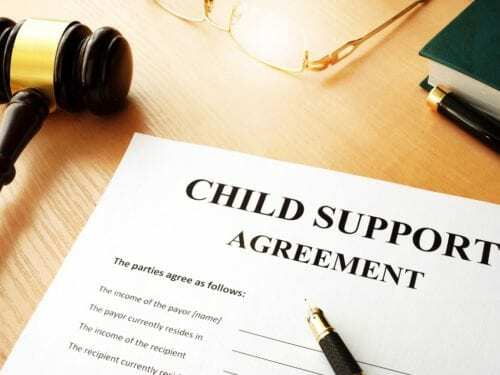 Is Your Child Support Order Really Subject to Change? What Happens if You Signed Your Prenuptial Agreement Outside TN? Don’t mistake the truth for what can be proven in Court. A truly uncontested divorce involves only one party. Do not use the authority granted to you in a Power of Attorney to transfer property to yourself. Just don't. Be careful what you write in an email or text. It WILL be used against you. If you’re on a dating app during your divorce...you know what I’m not even gonna say it.